West Point is located along PEI's scenic North Cape Coastal Drive. 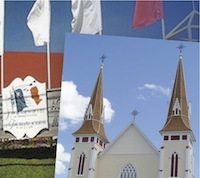 While staying in West Point, there are a number of daytrips located throughout the Drive that are considered essential experiences for any Island vacation. 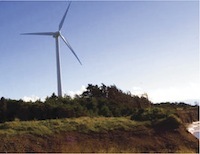 In response to the global need to develop more eco-friendly power sources, The West Cape Wind Farm opened in 2007 with 11 turbines. In 2009, another 44 turbines were added, increasing the farm's output capacity to 99 MW, or enough energy to power approximately 25,000 homes. The farm is a unique photo opportunity with its collection of massive turbines turning against the wind, generating clean, renewable energy. Other than Cedar Dunes, there are several Provincial Parks located along the North Cape Coastal Drive, each with its own character. 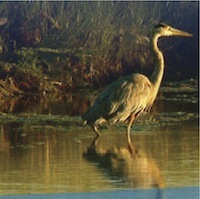 Mill River is one of the best-known Provincial Parks in the area. Adjacent to a resort, it also provides recreation and interpretive programs, canoeing and kayaking from its marina, and an 18-hole championship golf course. A river beach, shipbuilding display centre, museum and nature trails highlight Green Park Provincial Park, while Jacques Cartier Provincial Park offers a supervised beach, and a bay beach is found at Linkletter Provincial Park. Day use parks include Union Corner Provincial Park, Bloomfield Provincial Park, and Belmont Provincial Park. One of the most scenic ways to explore the area is to walk or cycle the Confederation Trail, extending from Summerside up to North Cape. Scenic Lookouts also dot the Drive at West Cape, Urbaineville, Seacow Pond and Grand River; they're a safe and inviting way to pull over and take in the view. The North Cape Coastal Drive is home to Summerside, PEI's second largest city. This historical area is populated with architecturally graceful homes and commercial buildings adorned with murals illustrating the history of the area. Summerside's waterfront features a variety of activities and dining options along its boardwalk, while live performances are onstage at the nearby Harbourfront Jubilee Theatre, and exhibitions of all sorts are on display at The Eptek Art and Cultural Centre. The Wyatt Heritage Properties and the International Fox Museum & Hall of Fame offer glimpses of the city's past, while The College of Piping and Celtic Performing Arts of Canada showcases Scottish and Irish pipes, drums and dancing. Stops along The North Cape Coastal Drive provide opportunities to experience Celtic, Acadian and First Nation cultures. On the Drive, you'll discover La région Evangéline, the area where the Island's first French settlers arrived in 1720. Evangéline is home to the Acadian Museum in Miscouche, the Neo-Gothic Notre-Dame-du-Mont-Carmel church in Mont-Carmel, a Welcome and Interpretive Centre at Barlow's Pond and Old Mills Park in Wellington, the Abram-Village Handcraft Co-op, and in Egmont you'll find The Cape Egmont Wharf and Lighthouse, and a collection of over 30,000 recycled bottles that have been used to construct one-of-a-kind Bottle Houses. Lennox Island is home to the Island's first people, the Mi'kmaq. Drawing on a history that dates back thousands of years on the Island, Lennox Island is where you'll find interpretive displays and artifacts at The Lennox Island Mi'kmaq Cultural Centre. Outdoor experiences like the guided Path of Our Forefathers tour, kayaking and canoeing are offered at The Ecotourism Complex and the Lennox Island Adventure Centre, and every year Lennox Island hosts a traditional Pow Wow. Located on the northwestern tip of the Island, North Cape is where the Wind Energy Institute of Canada and its interpretative centre are located. A trip along North Cape's Black Marsh Nature Trail will take you under one of the Institute's wind turbines and by the North Cape Lighthouse. Other lighthouses on the North Cape Coastal Dive are found at Summerside, Cape Egmont, West Point, North Cape and Alberton, among others. Just below North Cape is Skinners Pond. This community is best known as the boyhood home of folk singer Stompin' Tom Connors. PEI is world-famous for our potatoes. Their production is a major industry on the Island, and it has played a significant role in the development of the province. This history is explored at The Prince Edward Island Potato Museum Complex in O'Leary, featuring an interpretative centre, museum and heritage buildings. 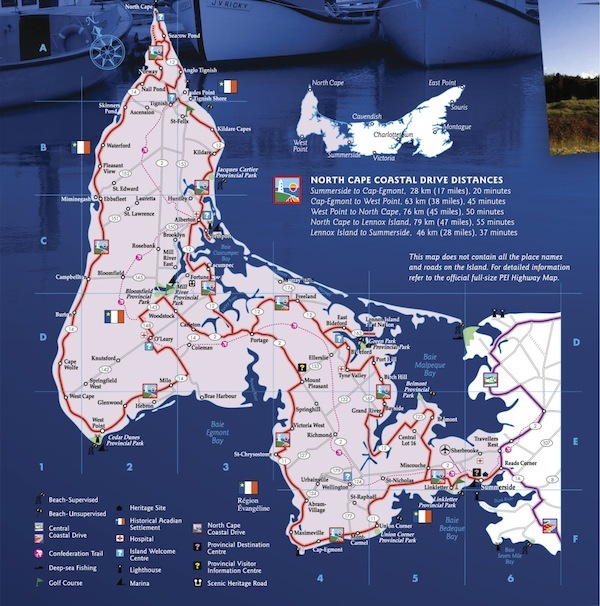 These are just some of the activities, sites and experiences you'll find along the North Cape Coastal Drive. 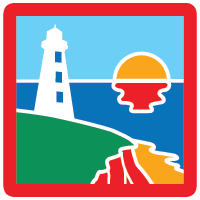 Festivals and events take place throughout the year, and information is subject to change, so make sure to stop by the Visitor Information Centres or Kiosks marked on the North Cape Costal Drive map.